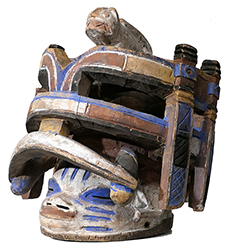 The Gelede Headdresses on this page have all been SOLD and are left here for educational purposes. 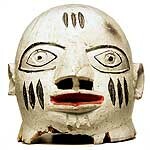 Gelede, a male association, uses the aesthetic power of sculpture, costume, song and dance to placate and please women, who have special spiritual power. 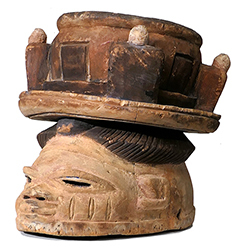 Often with elaborate superstructures, the headdresses appear as identical pairs in the dances.